Yup, you read that right. Today on Strong Female Character Friday we're going to talk about a man who's all...man. 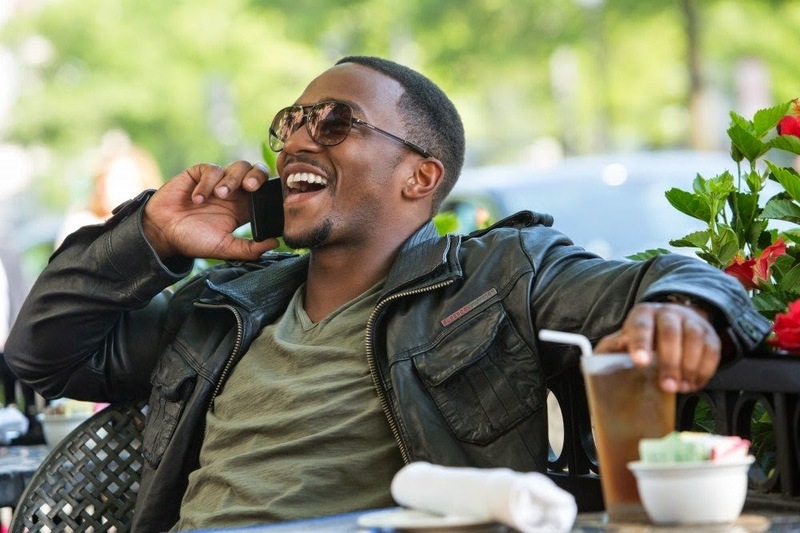 Sam Wilson (Anthony Mackie), aka Falcon, from the absolutely excellent Captain America: The Winter Soldier. Why are we talking about a noticeably male character? Simple. In terms of narrative structure, Sam Wilson is a female character. Or rather, he's a character who in any other story would have been female. And that's rad. He occupies the role in the story that almost always goes to the cute girl love interest, while Natasha (Scarlett Johansson) has the role that is usually reserved for the best male friend and wingman. They've switched places, and it is glorious. It's also not the first time we've seen something like this. You may recall back in November that we talked about how Raleigh Becket from Pacific Rim is a movie girlfriend (and a darn good one). Well, Sam Wilson fits into a lot of the same character arc-types as Raleigh, and it's even better because he's a man of color, and he's in a relationship that at the very least could never be confused for a hetero love story. So, to catch up those five people who still haven't seen Captain America: The Winter Soldier and/or don't read the comics, here's who Sam Wilson is: The best. And also, Captain America's best friend in the present day. In the movie, he's a veteran of the Afghan war who meets Steve while they're both out exercising, and with whom Steve has such an intense emotional connection as to show up on his doorstep when he's being hunted by the government and assume that Sam will help. Which he does. Sam and Steve first see each other in what can only be considered the "meet-cute" of the film. They're running around the reflecting pool in DC, and they banter and make jokes, and then incredibly quickly start sharing deep and meaningful facts and stories about their lives. Like, they've known each other for five minutes by now. Literally five minutes. Thirty minutes since they first set eyes on each other. And they're already talking about common interests and recommending Marvin Gaye albums to each other? And Sam is already telling Steve to look him up at work? Imagine that Sam is a girl. It's a unisex name, so it shouldn't be hard. Now, that's the start of a romantic comedy, isn't it? Or at the very least, a romantic subplot in a film. Little cartoon hearts should be flying everywhere. Then, later, when Steve is feeling disconnected from the world and SHIELD and isn't sure what to trust or where to go, he goes to Sam. A dude he has known about half an hour in actual person-to-person time. He visits Sam at work and they talk, really talk, about their issues and what they want and who they are and Sam is this stabilizing influence, emotional support, and generally does everything you would expect a love interest to do at this stage. You don't even question it really, it just...is. So then Steve and Natasha get into a whole host of trouble, track down what's really going on at SHIELD, a whole conspiracy thing, you know the drill, and they get hurt, are hunted, and wind up injured and alone, with nowhere else to go. Obviously now they will turn up at the house of the guy that Steve talked to twice. From an objective standpoint, it really makes no sense why Steve decides to go to Sam, nor does it make any sense why Sam not only lets in Steve and Natasha, but also agrees to help them, going above and beyond what anyone could reasonably expect of him and helping to save the world. It's kind of weird, even, because, again, these two guys have spoken literally twice. Ever. At all. In their lives. And here they are. But don't you think that's what would happen with a love interest too? I mean, it's so easy to imagine that Steve and Natasha wind up on the doorstep of a woman that Steve has been talking to. A woman that Steve could probably love. Only in this movie, that's not what happens. He doesn't wind up on a woman's doorstep. He's there to talk to a friend. And this matters. It matters because, first of all, we don't see nearly enough representations of healthy male friendships in the media. Not ones full of emotional honestly, functionality, and truth. That's a pretty rare thing. But also because feminism isn't just about giving women the right to be physically and emotionally strong, it's about giving men the opportunity to feel things, deeply and truly, and express that. I would argue that by making Natasha into the wingman/best friend/platonic life mate, and Sam into the girlfriend type character, the movie doing something more radical than we first imagined. It's not just giving Black Widow a much needed status boost and letting her take center stage, though that does happen and it is awesome, it's also important to show that a guy can be in that supportive, emotionally stable, relational role. That's kind of a big thing. And to make him a man of color? Even bigger. Words really can't express how much I love CATWS. I love pretty much everything about it. It's not perfect, no, but it's awfully close. And a lot of that has to do with its revolutionary gender politics. And more. It's a movie that's actually diverse enough to have two whole African-American characters. It has more than two female characters. It has enough people to be slightly complex. That's a very good thing, in case you weren't sure. 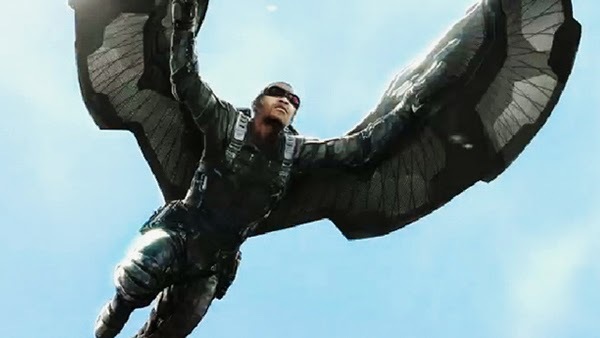 And in case anyone is keeping track, heck yes do I think we should have a Falcon movie. I would love that. But I don't want a Falcon movie that would change Sam's established character. I don't need or want an angst-riddled Sam Wilson, nor do I think that it would be beneficial to the storyline to take away the supportiveness and general rad emotional intelligence his character already has. I want a Falcon movie where Sam Wilson, basically Captain America's movie girlfriend, gets to have his own adventure. I fully believe that he can be both a movie girlfriend and a fully fledged character, because I believe that all movie girlfriends should be fully fledged characters. Maybe it just takes realizing that Cap's girlfriend is a thirty year old black man to make us see it. 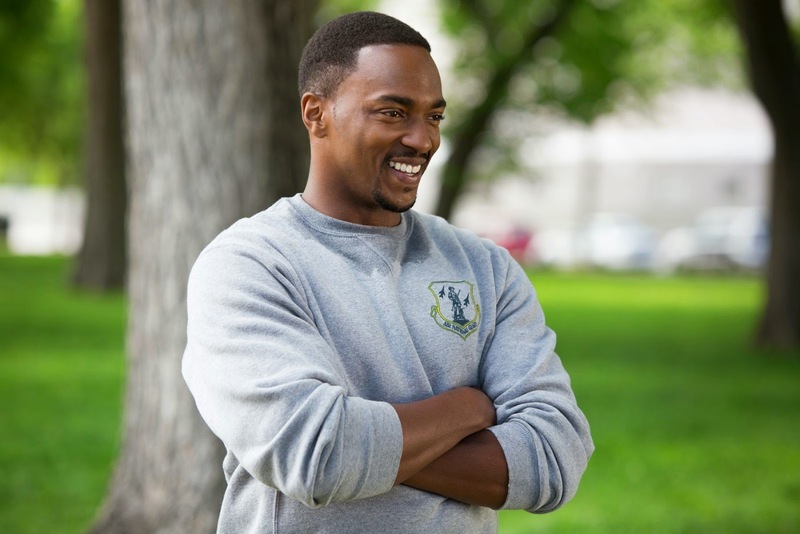 I haven't seen Gangster Squad or Pain & Gain, but of all the recent movies that Anthony Mackie has been in, I've loved them all. He was great in Hurt Locker, great in Cap 2, great in 10 Years, he MADE The Adjustment Bureau. Super talented guy. More....give me more! Gangster Squad is great, and he is great in it. I haven't seen Pain and Gain. Nor am I particularly apt to? 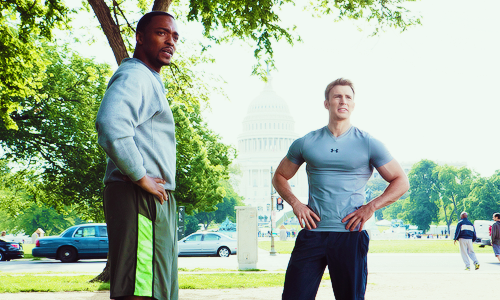 But yeah, Anthony Mackie is a treasure. But I don't want a Falcon movie that would change Sam's established character. I don't need or want an angst-riddled Sam Wilson, nor do I think that it would be beneficial to the storyline to take away the supportiveness and general rad emotional intelligence his character already has. What might be interesting is to go the route of a disaster movie. Maybe have a villain - someone taking advantage of the situation - as a subplot. But the main action be against a natural disaster or major accident. That would be really interesting. I also think it would work to have Sam up against a villain, a villain with actual superpowers, so that he has to confront the fact that, exo-suit aside, Sam is actually a normal human guy. And he has to fight this bad guy with his wits and strategy, because that's what he has to work with. Make it sort of a meditation on what it means to be a superhero. Does it mean powers? No, it means stepping up and fighting for what's good even when it costs you everything. That's a good one too. And hey, they could even combine.